Danish Translation of TS3 Client. This is a full translation of the TS3 Client. 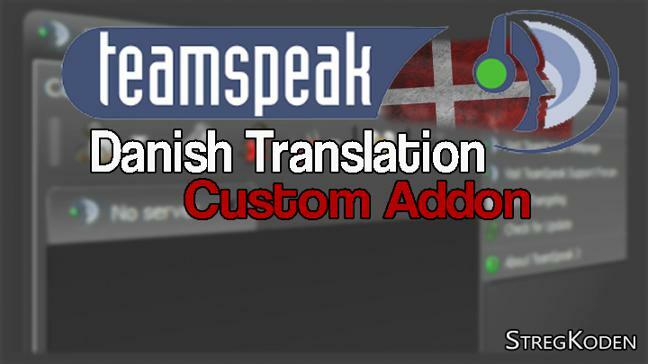 (1.0 - (TS3 - v3.0.16+) It makes your whole TS3 to Danish. Everything from bookmarks to settings. It is Practical for Dane who do not understand English very well. All the translated is (pretty much) done by myself. (But for 3-4 years ago) The will be some bugs, but report them to me, and i will try to fix it.